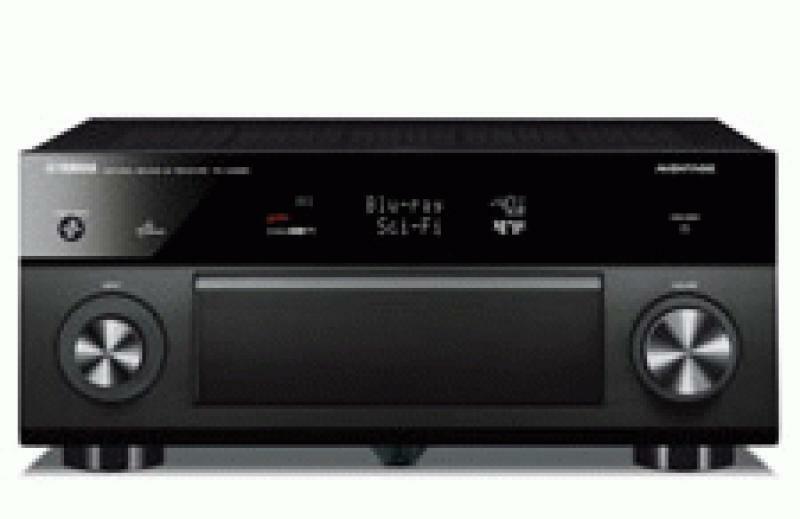 Yamaha AVENTAGE Receivers Make "The Sound Statement"
Yamaha just announced the all-new 2012 models of its AVENTAGE family of network AV receivers with the 9.2-channel RX-A3020 (150W x 9) and RX-A2020 (140W x 9), as well as the 7.2-channel RX-A1020 (110W x 7), RX-A820 (100W x 7) and RX-A720 (90W x 7) models. New 2012 features include AirPlay, 4K videopass-through with upscaling, upgrades to the Apple iOS/Android/Kindle Fire control apps, multi-zone control with Zone 2 HDMI and energy-saving ECO mode. An example of the attention to detail designed and built into each AVENTAGE receiver is Yamaha's Anti-Resonance Technology (ART). A specially- designed, signature fifth foot at the bottom improves structural rigidity and reduces vibration that can cause distortion and loss of fidelity. Yamaha also incorporates double-bottom frame construction on the RX-A3020, RX-A2020 and RX-A1020 models, further minimizing distortion. All AVENTAGE models are compatible with the Yamaha AV Controller Apps for Apple iOS and Android devices, as well as for Amazon's Kindle Fire, which offer full system control and access to music stored on smartphones and tablets. Depending on the device (tablet or smartphone), the app is designed to provide a portrait or landscape mode interface for easy visibility and use. Made for iPod, iPhone and iPad, all AVENTAGE receivers provide audio reproduction via front panel USB inputs that provide direct digital connections to the popular devices. All connected Apple devices automatically charge for use on the go. In addition, the USB inputs may be used for playing music from portable storage and other compatible devices. The RX-A3020, the flagship model of the AVENTAGE line, features Zone 2 HDMI that enables it to simultaneously deliver content from two independent HDMI AV sources to two separate zones - including 5.1-channel audio to the second zone. The RX-A3020 is a 9.2-channel receiver, and can be expanded to 11.2 using a standard two-channel amplifier. The RX-A3020 and RX-A2020 boast the HQV high-class "VHD1900" VIDA video processor for peak video performance. The RX-A3020 adds CINEMA DSP HD3 (HD Cubic) that expands the sound field vertically to provide the best surround sound reproduction available in a home entertainment system. All AVENTAGE series models feature YPAO Reflected Sound Control (RSC) sound optimization. The RX-A820 through the RX-A3020 models add multi-point measurement (up to eight locations) to this process to enlarge the listening zone's sweet spot. The RX-A2020 and RX-A3020 add DSP Normalization that collects data on a room's "liveness" during the calibration process so additional adjustments can be made to optimize sound quality. The RX-A3020 enhances this even further with angle measurement that triangulates the positioning of each speaker in the system to compensate for non-symmetrical placement. In addition, the RX-A3020 and RX-A2020 feature a newly designed YPAO microphone that more accurately measures speakers placed at different heights. All AVENTAGE series models feature improved Dialog Lift that more accurately positions dialog to come from the center of the viewing area when watching movies and television programming. Dialog Lift and Yamaha's proprietary CINEMA DSP 3D surround features can be used in conjunction with Yamaha's Virtual Presence Speaker function to provide these sonic benefits for systems that are not set up with presence speakers. Dialog Level Adjustment enables listeners to fine-tune the balance of sound for dialog and vocals. All models, starting with the RX-A820, feature Party Mode, which lets users automatically power on all zones and play content from a single source to all zones, without delay, at the touch of a button. While Party Mode is on, digital inputs in secondary zones can be used to playback different content. Advanced networking control functions provide seamless integration with a wide range of third-party home automation control systems, including Control4 and PC Web browsers. All AVENTAGE receivers easily stream Internet Radio, while playing music files (WAV, MP3, WMA, AAC, FLAC 96/24) from a PC or DLNA-enabled server. Each AVENTAGE model also offers comprehensive Web-enabled set up features for the custom installation market. -ECO mode reduces the overall power consumption by 20 percent, with particularly low power use when the receivers are in standby mode. In addition, an Auto Power Down feature can be set for 2, 4, 8 or 12 hours to conserve energy. Yamaha's new AVENTAGE Series models will be available exclusively at authorized Yamaha AV dealers starting in June, with the following MSRPs: RX-A720 ($699.95), RX-A820 ($899.95), RX-A1020 ($1,199.95), RX-A2020 ($1,699.95) and RX-A3020 ($2,199.95).